Full year residents are taxed on all income, except tax exempt income, regardless of the source or where derived. You are required to file a Georgia income tax return if: You are required to file a federal income tax return. 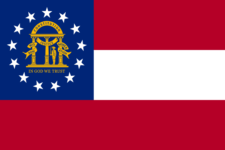 You have income tax subject to Georgia income tax that is not subject to federal income tax. Your income exceeds the standard deduction and personal income exemptions. Never forget to file GA 500 again.